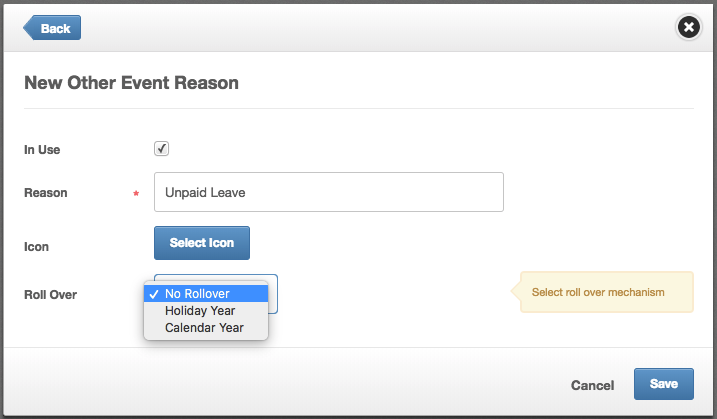 (Admin/Manager Only) Learn how to create, edit and delete other events for an employee. 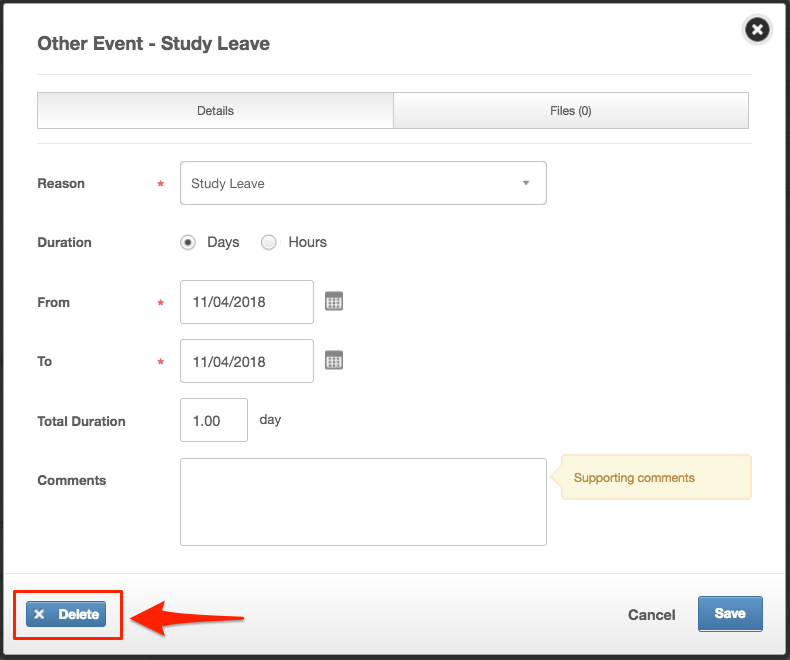 Other Events can be used to log a day of absence that isn't already specified on the planner, for example Doctors/Dentist Appointment Appointment, Jury Duty, Unpaid Leave etc. Locate the day you wish to add to. 3. Fill out all information and click save. 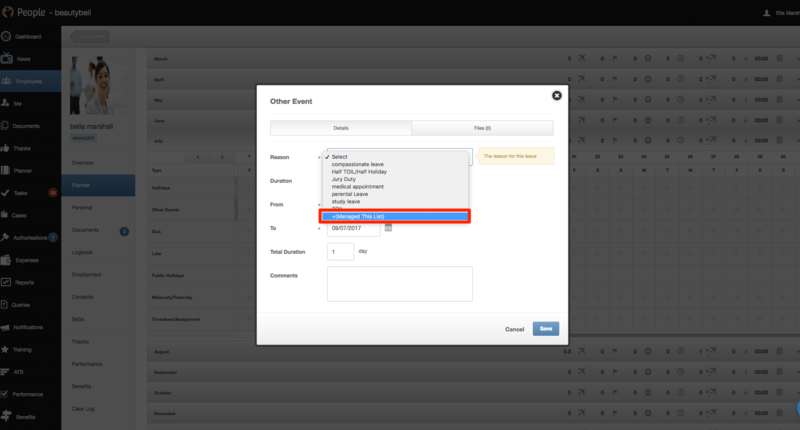 When creating a new Other Event reason, you can select if you wish for this to rollover into the next Calendar, Holiday year or not at all. This is so you an add an Other Event entitlement. Go in to the employees record that you wish to edit. Locate the event you wish to edit. 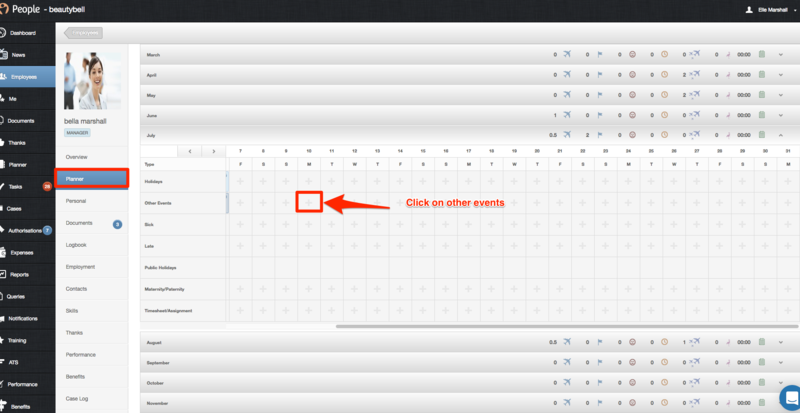 When accessing the event, do not click the 'Add' icon, instead, click on the event name. E.g Study leave. 4. This will then bring up all details regarding this event. You then have the option to change any details, you can also delete the event using the 'Delete' option in the bottom left corner. 5. If editing, remember to click 'Save' once all changed has been made.